A talented singer/songwriter and performer whose range of talent stretches from Hip Hop to R&B/Soul, Pop to Gospel, J. Isaac has been pleasing ears since childhood. "When I was growing up, Hip Hop was a movement." he says of the graffiti, fashion, dance and of course, the music that had such a monstrous affect on his young life. "I was battling and writing rhymes. If someone had told me then that I'd be singing - I never would have believed them." Born in Loudon, Tennessee, Jason Isaac Moore has always called the Twin Cities of Minneapolis and St. Paul home and is proud to say that he is a reflection of his fan base in Minnesota. The compassion for his home state has always been in his heart-- even when they weren't feelin' him. At 15, he started a vocal group and covered Hi Fives "Just Can't Handle It," a reproduction so effortless that the buzz in the streets had many questioning if the recording was truly a copy. "At the time, our only competition was Next," and adds ruefully but with a smile; "Girls loved them. They only liked us." Shortly after disbanding the acapella troupe, J. Isaac spent time in the studio focused on his own music, where a Sony Music Publishing and A&M Recording deal were immediately penned after a friend in a studio where he was recording submitted his material. Recording with Ali from A Tribe Called Quest, Raphael Saddiq and Slum Village, the project, due to record company consolidation, was never released. J. Isaac was not deterred. "I was okay with it. I took a break, and started to sell my product independently" which he declares made him "hungry" and more dedicated than he was before: "I was able to connect with the people of Minnesota (largely due to the impressive 10,000 CD's he moved from his own hands). My songs are like letters and my Minnesota audience made me realize who those letters were for. I was able to listen to them, know what they wanted to hear, and get to know the people that were going to buy my music." Not failing to learn a few lessons in this business of music, enter Paul Jones and a deal with 306 Entertainment. 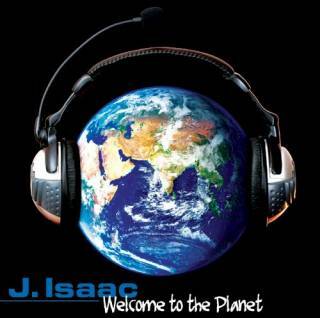 "Welcome To The Planet" was largely written and produced by J. Isaac and he considers this project to be somewhat of a conceptual album, but also having deeper, more personal roots about the human experience. "The album was intended to be a gift to my children, a glimpse of everything that happens in life from the cradle to the grave." And he hopes that listeners can identify with the many emotional facets of the album and get a feeling for who he really is. The lead off single from "Welcome To the Planet" is the infectious "How I Roll" featuring Juelz Santana and is J. Isaacs take on a man who is ready for marriage with a woman who is real about what marriage is truly about. A union that's not afflicted with games or tricks. Someone a man can "roll with" for the rest of his life. Currently, J. Isaac is gaining airplay and receiving rave reviews for his reunion with Slum Village on "EZ UP," and in the studio working on projects with Barak Records neo soul crooner Dwele and wunderkind Bilal Oliver of Mayo Music. Look for "Welcome To The Planet" to explode into the streets Summer, 2006.